How Much Does We Buy Ugly Houses Philadelphia Pay? 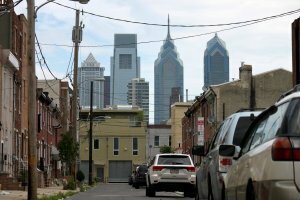 If you are searching online trying to find out how much does we buy unwanted houses Philly pay, then this article should help shed some light on that topic. We are a professional home buying company called Rapid Home Liquidation similar to the “we buy houses” company that you may see advertising locally, and who also has an operation here in Philly. We are going to break down exactly how our professional home buying program works, and what type of cash offer you can likely expect when dealing with one of these companies. In this article, you will learn exactly how our Philadelphia cash for homes program works, and the specific formula that we use to determine the value of your home and make a cash offer that works for all parties involved. Basically, we perform a quick analysis of some recently sold homes in your same neighborhood that have the same square footage and the same number of bedrooms. Then we estimate the repair costs on your property to accurately determine how much will be needed to get the home up to its full value. Then we use our standard home buying formula of 75% of the full market value minus the estimated repairs, so if you have a $100,000 house that needs $25,000 worth of work then we would make a cash offer on that property for $50,000. If you choose to accept our offer then we will select a local title company and open escrow, and schedule the final transaction and paperwork for a convenient time and date that works for both of us within the next week. Basically, we buy uglier houses than our competitors because sometimes they won’t buy a house if it’s the ugliest one on the street like if it has foundation issues or needs mold remediation. If you want to learn more about how we buy unwanted, unsightly, icky, dirty, junky houses with our own cash then please keep on reading this article because we are going to outline the exact reasons that you should consider dealing with one of these local home buying companies right here in the city of Philadelphia, PA. Our company pays cash without involving brokers and we will literally take anything even empty shells that need to be completely gutted and fully renovated from top to bottom. If you are interested in getting a risk, free, no obligation, fair cash offer on your Philadelphia property right now then please give us a text or call at (215) 882-9828 and someone from our team will analyze your situation and property, and come up with a quick cash sale price that you can begin to think over to see if you might be willing to do business with our organization. For more information on selling your Philly house quickly please read How Does We Buy Houses Philly Work? Real cash offers. We don’t play games with people’s property. We are fast, effective home buyers and we have the cash to close on your property…So when we make an offer on your home that means that our company has that money sitting in a bank account somewhere…and we aren’t brokers or agents..we are home buyers! Fast closing times. One of the number one benefits about selling your home to a real cash buyer such as us here at Rapid Home Liquidation is that we close out our deals in as little as one week from the date of signing the contract, so if you are looking for a fast, reliable solution to extract the equity of your home then this is it. Give us a text or call now to get started (215) 882-9828. Expert team. We have a team of real estate experts who are standing by to take your call and analyze your home to determine if it’s a good fit for our program. We’ll be completely honest – not everyone’s home is going to be a good fit for our program, if you’re looking to get top dollar for your property then we’re likely not going to be able to do business. But if you’re searching for a fast, effective solution and don’t mind selling at a bit of a discount then you should definitely contact us today. Contact Us Today For A Risk Free Quote On Your Home! If you like the sound of how our program works, and your situation meets the criteria for what we described above, and you’re ready to see how much we would offer you for your home, then please give us a call or text right now at (215) 882-9828 and someone from our team will send you a free quote within 24 hours. Alternatively, you can simply click on the live chat box in the lower right-hand corner of the screen and talk to one of our representatives right now. Another option is to simply fill out the form at the bottom of this page with your property information and someone from our team will contact you with a free quote in as little as 48 hours. If you decide to accept our offer then we will open up escrow at a local title company and set a date and time to close out the deal and get you your check. We will quite literally buy any house in Philadelphia no matter how ugly it is because we aren’t scared of buying the ugliest houses on the block and then putting work into them and then relisting them back on the market to earn a substantial profit. Typically, these companies will pay anywhere from .50 – .70 cents on the dollar for your house minus any estimated repair costs and realtor fees to relist the home, so compare that will the current market value on your house and you should have an exact figure for how much a company with this type of business model will pay you for your Philadelphia home.